5.0 颗星，最多 5 颗星Lovely book, deep dive into the MH universe. This book, as the first one, is simply fantastic. Not only does it show amazing artwork from the games but also lets the artist explain some of their though process on certain topics. Every now and then you will find comments on why they did certain things that way. Both are an absolute treasure chest for any MH fan, especially for the price. However the first book is slightly better in that regard and lets the artist coment a bit more frequent. This book focuses mostly on MH 3rd portable, MH Tri, MH Freedom Unite and MH 3 Ultimate. I still recognised a few armor and weapon concepts without knowing the games! 5.0 颗星，最多 5 颗星Awesome for any artist or MH fan. I pre-ordered this book on Dec 2013, It was worth the wait. The book is thick, heavy and simply awesome. As an artist/graphic designer, this book contains images that inspire and even help in the process of creating a monster. It also has intricate art on character, armor designs and weapon designs. For a fan, this IS the book any hunter must have. I was actually expecting it in Japanese, but its in English making it more interesting to read, since the artists of the game speak about how they had to design the monsters and weapons. It also contains a black and white section (my favorite part of the book) with preliminary sketches and even designs that never made it into the game. 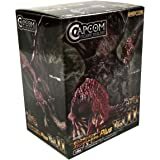 Definitely a must have for any collector, artist and Monster Hunter fan!! These illustrations are incredible and very inspiring. 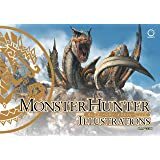 There are tons of concept art illustrations of armor, monsters, characters, emblems, outfits, towns, shops, etc. If you love fantasy art then this is a must buy with 400 17"x11" pages of incredible designs. I paid $80, but it was absolutely worth every penny. I look through it on a daily basis. Okay. So I ordered this book to add to my reference library and honestly I LOVE IT !!! Lots of Illustrations from monsters to Armor and settings. 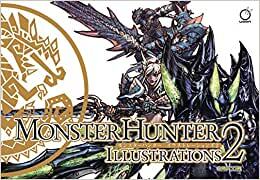 The only thing that I wish was longer in this book are the monster illustrations, they compensated with the weapons and armor sections but I love it greatly! I recommend this for anyone who loves the video game series and wants to see the process behind this series!